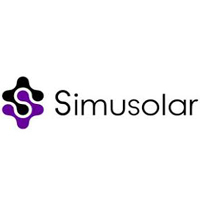 The Corporate Accountant of Simusolar manages the bookkeeping, budgeting, and cash flow of a rapidly growing organization. You will ensure compliance with policies and periodically evaluate the processes to manage the organization’s finances. You will also be responsible for payment of Simusolar taxes and fees within Tanzania. Reporting to the Senior Manager or Director of Finance, you are critical to the reporting of accounting information for global consolidation and financial reporting. - Conduct periodic internal audits to measure compliance and identify areas for improvement. - Fluent in English and Swahili. - The Accountant works closely with all departments, including Sales, Logistics, Service, Technology, and others. - Externally, the position works with auditors, the TRA, banks, and others. - Proactive counsel to management on changes in regulations or treatments. Pay: Salary with benefits and discretionary bonus. The initial contract will be for a threemonth trial period. Successful Accountant will be renewed for a longer term. The deadline for application will be on 06th August 31st July 2018.